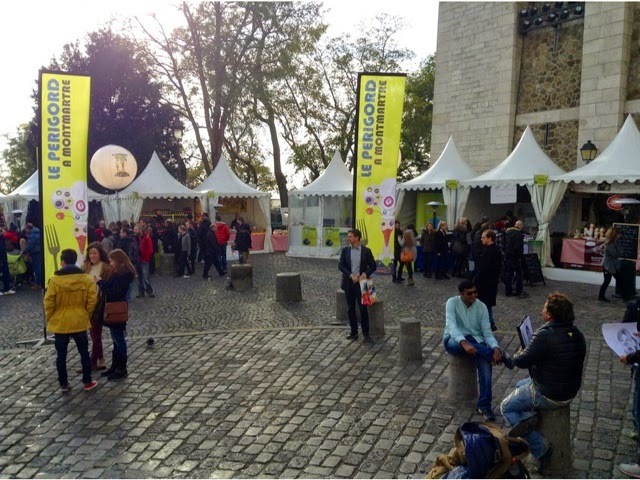 This was the week I went to the Périgord fete at Montmartre. 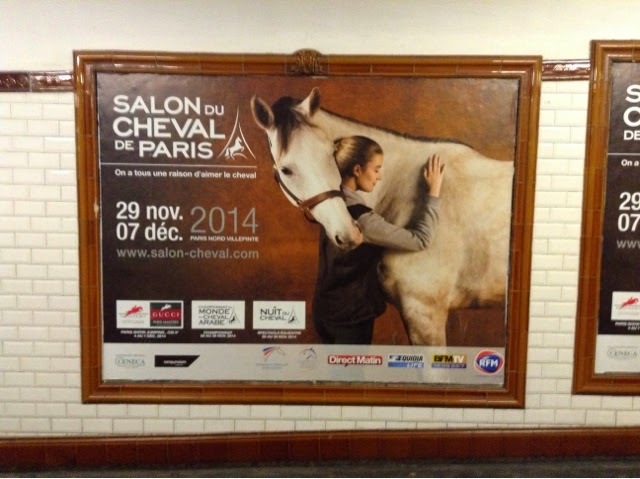 Posters in the Metro announce the Salon du Cheval, another annual holiday event next weekend looks very tempting. Have you ever been? 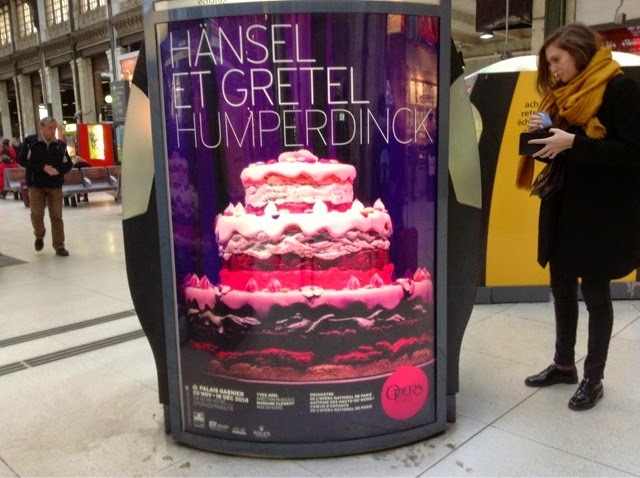 Hansel and Gretel time is here. 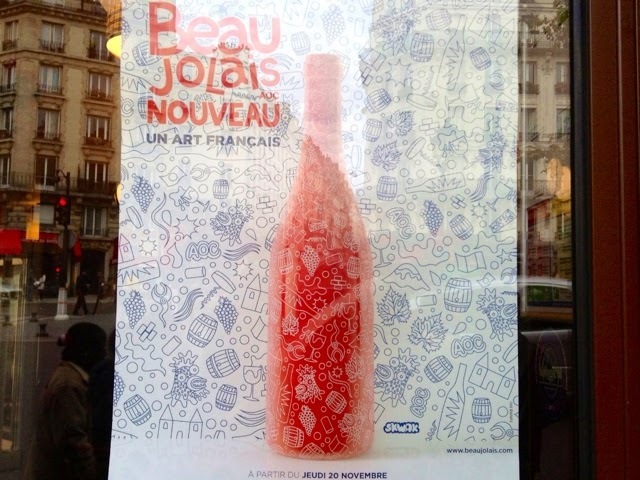 This week Thursday was Nouveau Beaujolais day. Even Carrefort supermarché has dozens of bottles handy by the checkout with sausages and sandwiches to go. 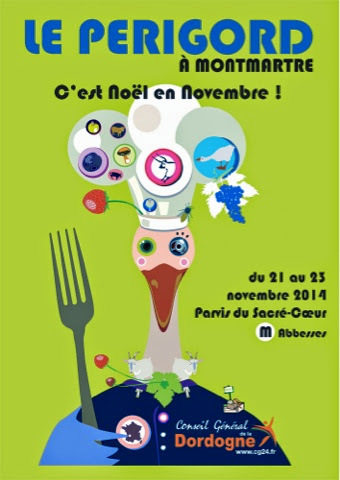 Friday through Sunday was the small winter fair with 20 producteurs around Sacre Coeur. The Spring version was full of strawberries and whipped cream. Each tent represents a farm and their specialties. 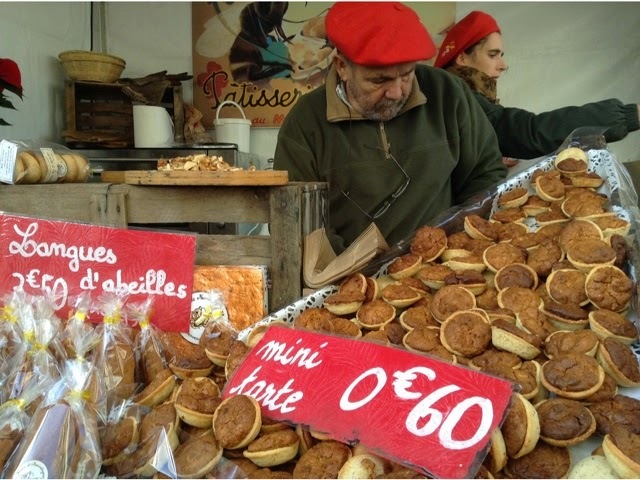 A walnut farm had tartes and kilo bags of unshelled walnuts in the shell. I should have bought them. 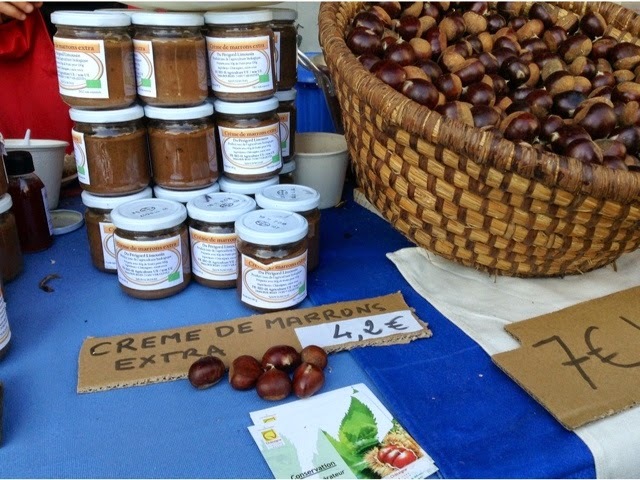 I did buy the chestnut grower's roasted marrons. The best I've had and far tastier than those sold by street vendors on boulevard Haussmann (often cold and sometimes rotten). I wish I knew more about foie gras. The tastes offered are excellent. 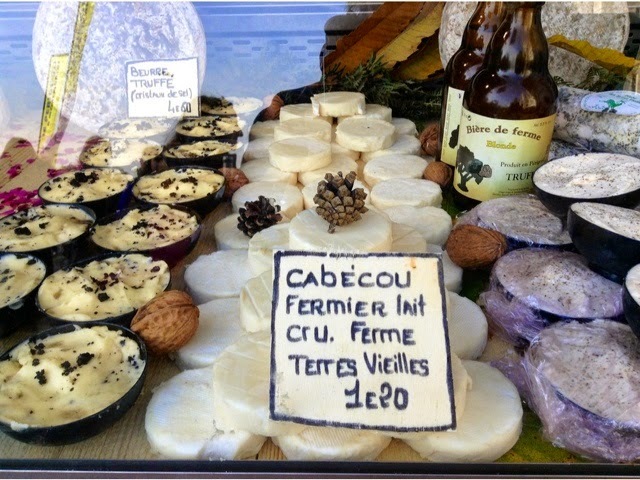 Farm goat cheese, some with truffles and walnuts. Many of the farm stands have B and Bs as well, so you can stay and immerse yourself in the pastoral countryside. 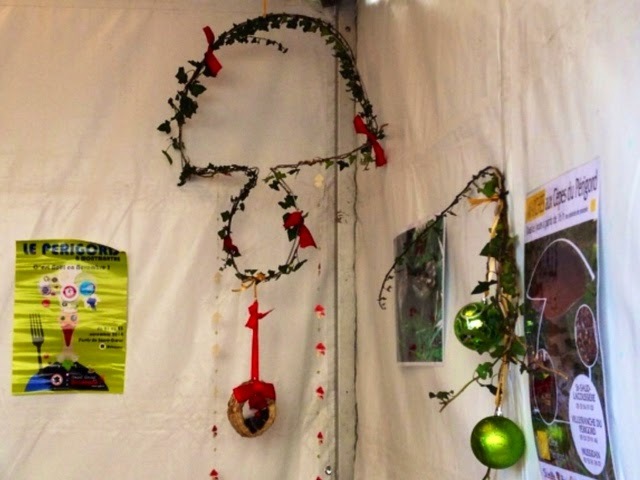 I loved this humble mushroom-shaped wreath (in case you hadn't guessed) at the mushroom (cépes) seller. 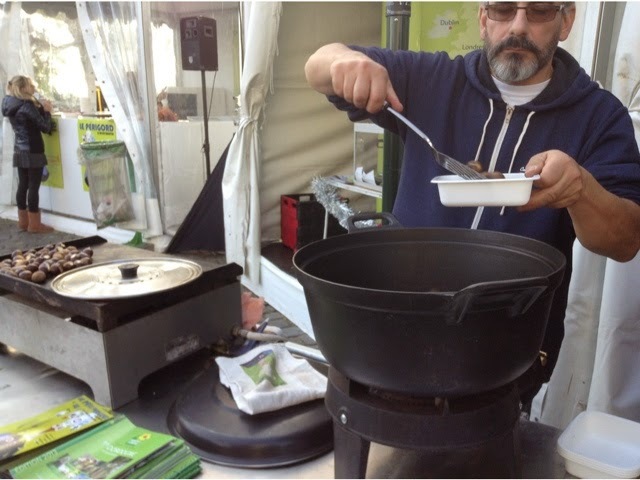 They were selling the most intense and warming mushroom soup for 1€! 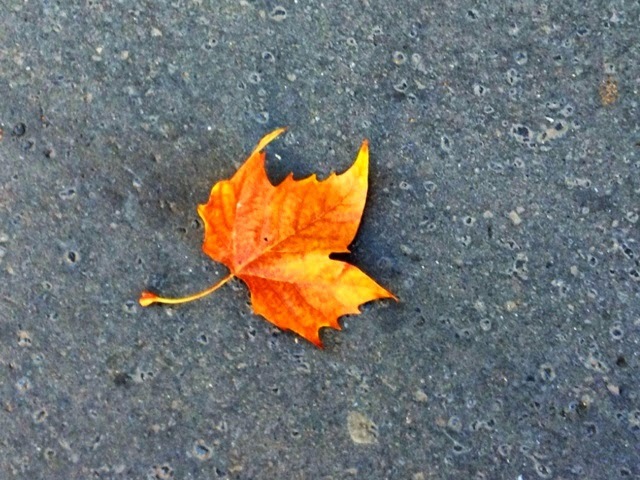 This week we're still having Fall weather in Paris luckily. Winter is holding off a bit. 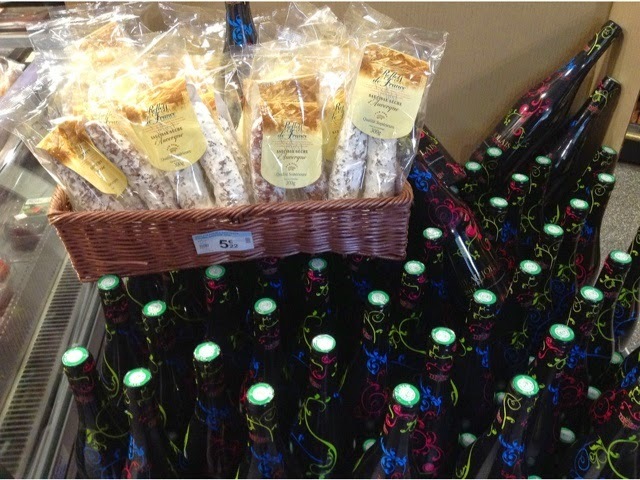 This week on Friday at Salon Saveurs I stopped in my tracks at Maison de Chantilly. 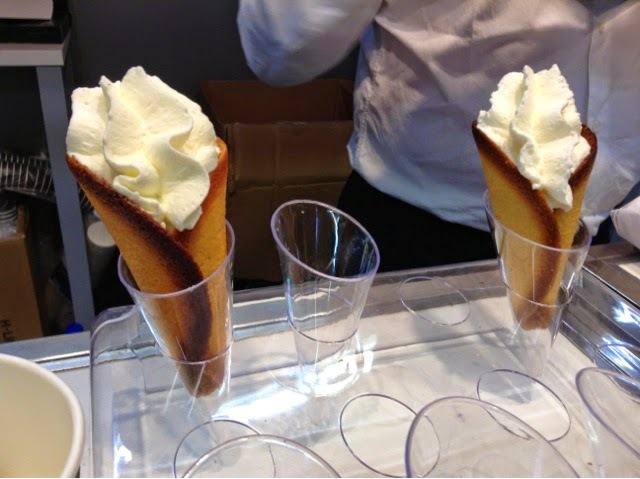 Butter cookie cones filled with freshly whipped cream. No, I did not taste one. This week I went back to the pool finally after a two month hiatus and whipped cream is off the menu at the moment. 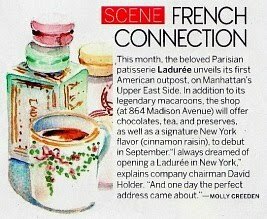 They will be opening a boutique on rue Cler end of March 2015...maybe by then I can indulge. 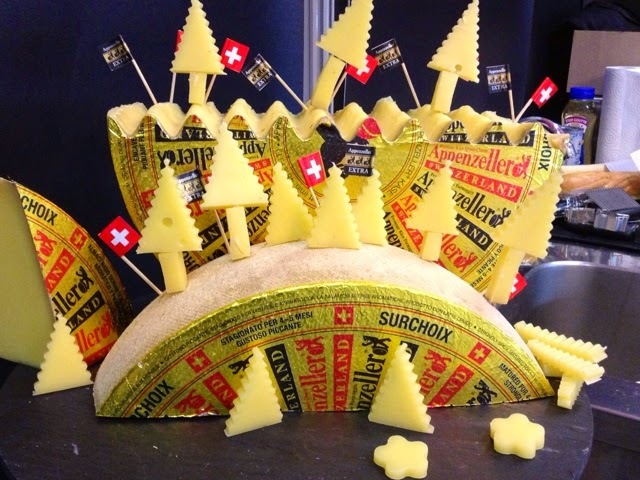 Also at the Salon this wildly imaginative cutup Swiss Xmas tree cheese caught my eye. 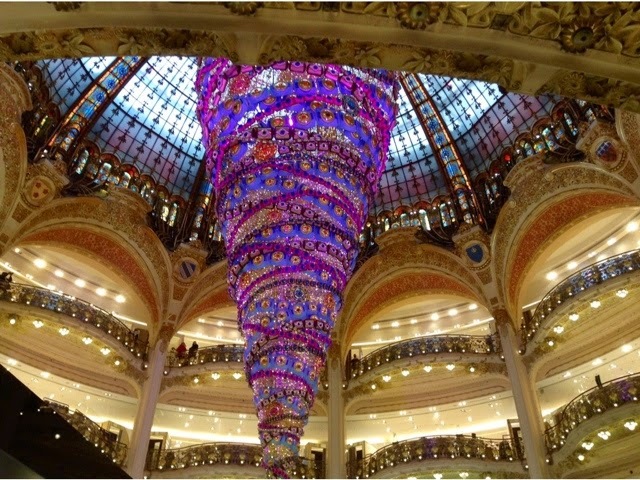 This week I got to see Galeries Lafayette upside down Christmas tree. Spectacular. 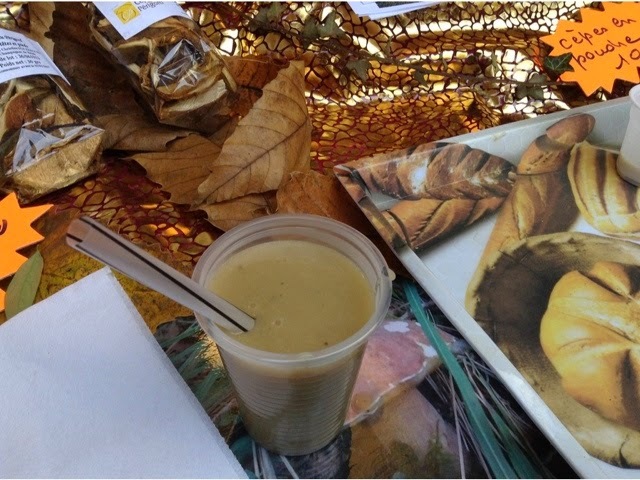 This week on Tuesday I participated in the Holiday Fair at the American Embassy. They took away my iPad at Security so I can't show you any pictures. Only this Google map. 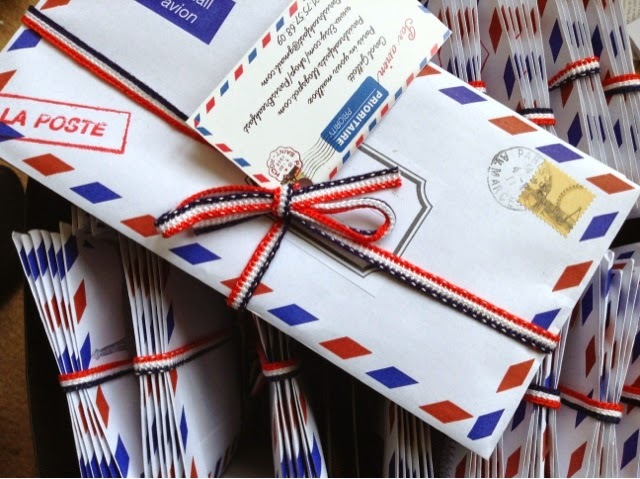 I sold a lot of macaron and teapot prints at the Embassy, but I made up too many 6-packs of the Paris Sketch Letters, so I having, for a limited time only, A pre-BLACK FRIDAY SALE -$5 off with a surprise gift print included available on Etsy. 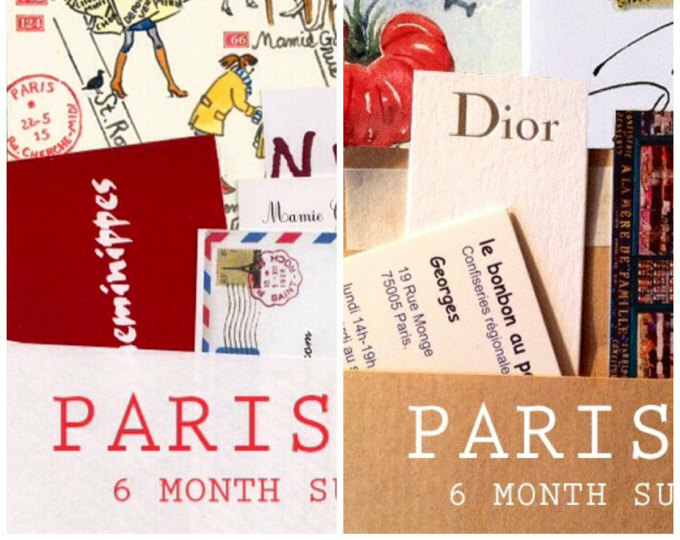 In October someone asked if I would have the December Paris Sketch Letter done by Christmas? *I'm happy to report this week I got the December Sketch Letter artwork done AHEAD OF TIME. 'Bon(ne) Dimanche' as the man in the elevator said to me today after I dropped my bag of apples on his foot. 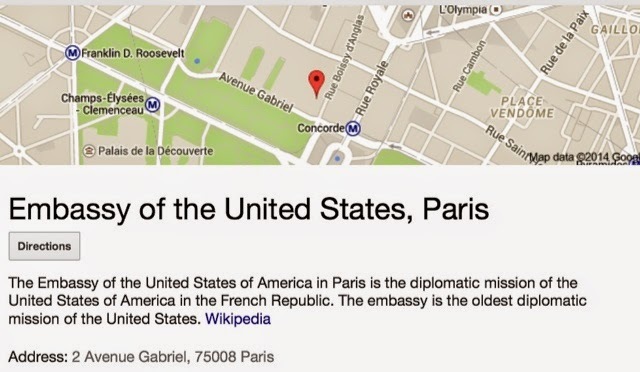 The Embassy in Paris. Where I learned to take the battery out of my cell phone! They told me I was perfect. The first time anyone has said that to me. I arrived without any electronics. 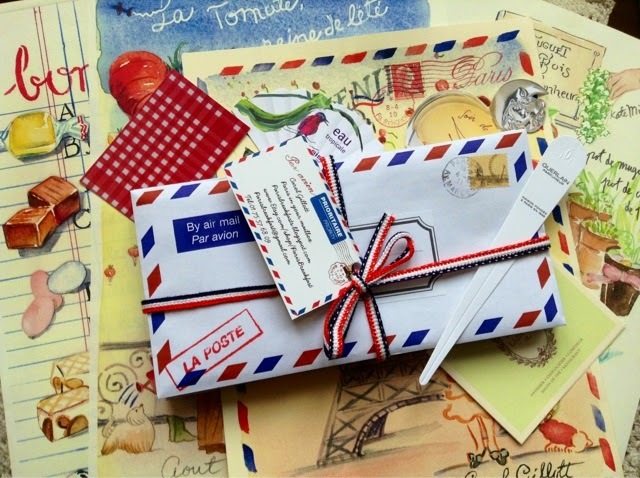 Carol, I just had so much fun getting caught up with your gallivanting around Paris and your revealing a bit of what goes into producing your lovely Paris letters. As always, bravo! I'm now beginning the annual painting of my Christmas teacup cards. I fear I have not begun this process early enough, but...I've been on a little holiday. It's catch up time big time now. Bonne dimanche to you, too, from cold and snowy Winnipeg! The fair looks wonderful, and so does the upside-down Christmas tree. It's those butter cookies and whipped cream that have me drooling, though. Sigh! 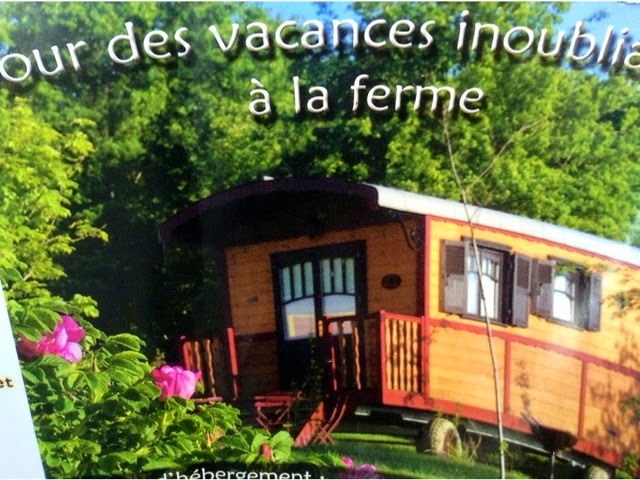 I LOVE La Dordogne! Thanks for this post. I wish I could get some of that Cabécou cheese to materialize from the computer screen! I am dying to visit!!! I love everything I see/eat about it. Every weekend there are 1-3 events! 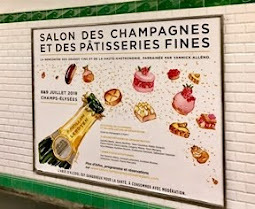 Nice to see not everything in Paris is super fancy and pricy. I love the homely feel to this fair. Very salt of the earth. 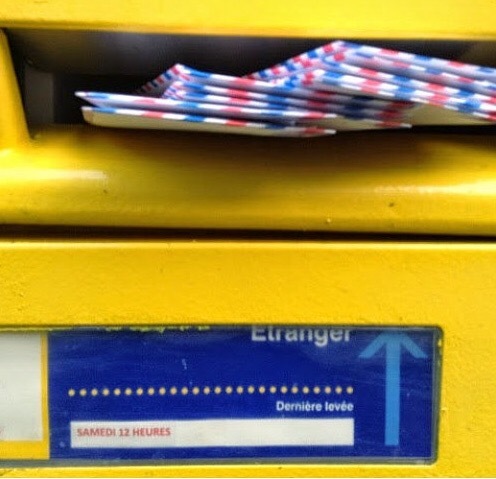 Je viens souvent sur votre blog et aujourd'hui je prends le temps de laisser un mot. 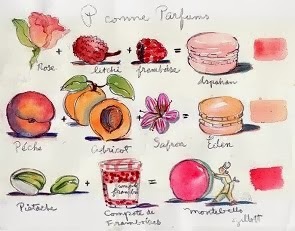 Vos aquarelles sont très belles. 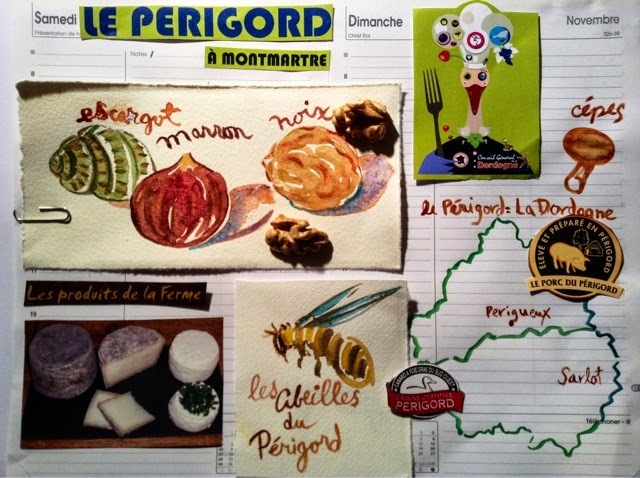 Et comme je suis une gourmande vos reportages m'intéressent. I have an equestrian background. The Salon du Cheval de Paris sounds SO very exciting! You are such a lucky lady. This post illustrates beautifully how Paris is at once modern and stylish as well as quaint and homespun - all in one day...bravo. I will dream about that butter cookie cone with whipped cream for sure! Your life is awesome! 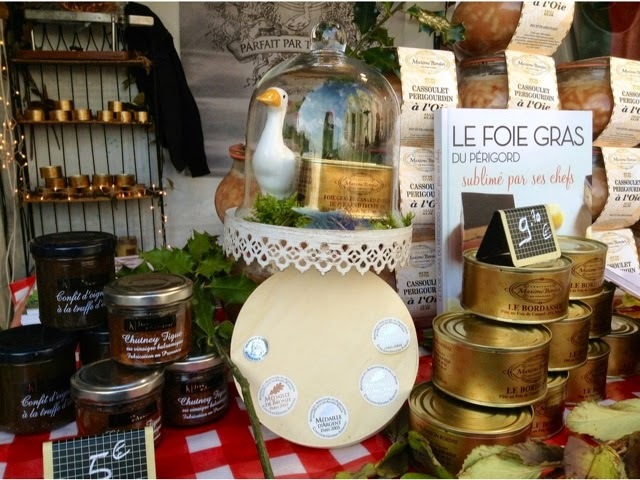 I love the Dordogne & think the food from there is my favorite - foie gras, cassoulet, duck confit, etc. Sending warm Thanksgiving and most envious greetings from a very wet NYC. How wonderful! All of it! It sounds like a wonderful occasion and I'm so glad (but not surprised) that you did terribly well at the occasion! Oh, Christmas -- it's coming!